Tomorrow evening I’ll be doing another Envolve chat, and I’m excited that we’ll have a special guest. 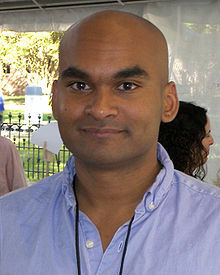 My friend Reihan Salam is a blogger for National Review, a columnist for Forbes, a fellow at the New America Foundation, and a policy advisor to E21, a relatively new think tank in New York. Most importantly, from my perspective, he is the nation’s leading advocate of keeping America weird. I hope you’ll join us Monday night at 9 PM Eastern. To join in, just click through to the blog and look for the chat box in the lower-right hand corner of the screen.